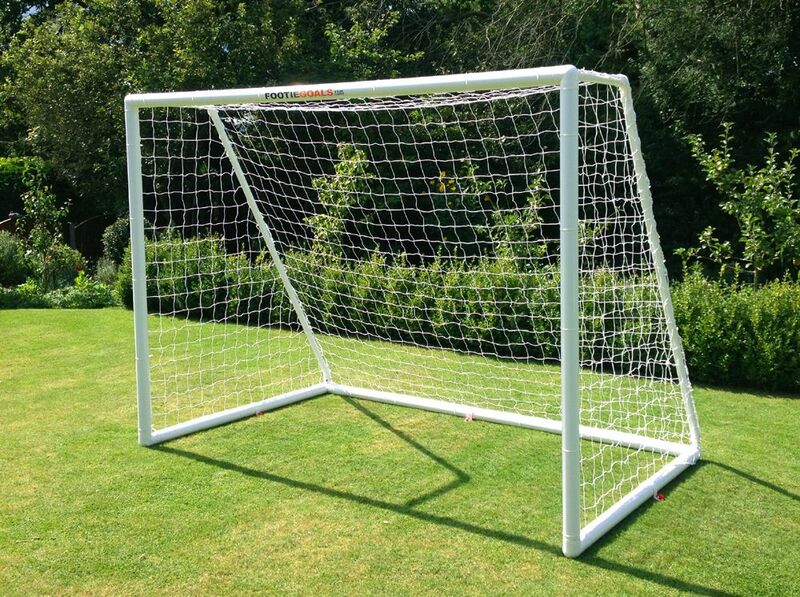 The Best 16’x7′ uPVC Youth Goal by a Mile. 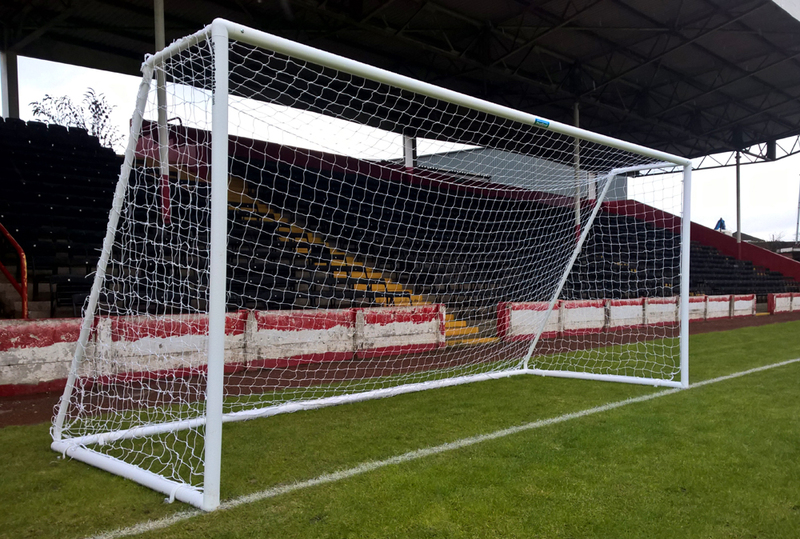 The Best 16’x7′ uPVC Goal by a Mile. 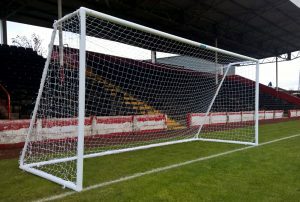 The goalposts have an optional aluminium crossbar, so the goalpost does not sag in the middle. 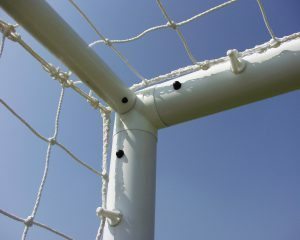 Proper net fixings so the goal net clips on the reverse of posts, no unsightly tape, and nets wrapping around posts. 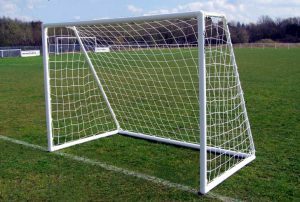 Longer goalpost warranty than any other goal. 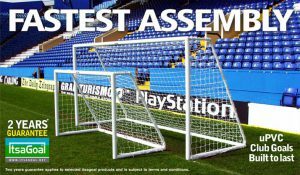 The ITSA Goal post range for Junior football clubs continues to grow. we help found the first safety standards in the early nineties. 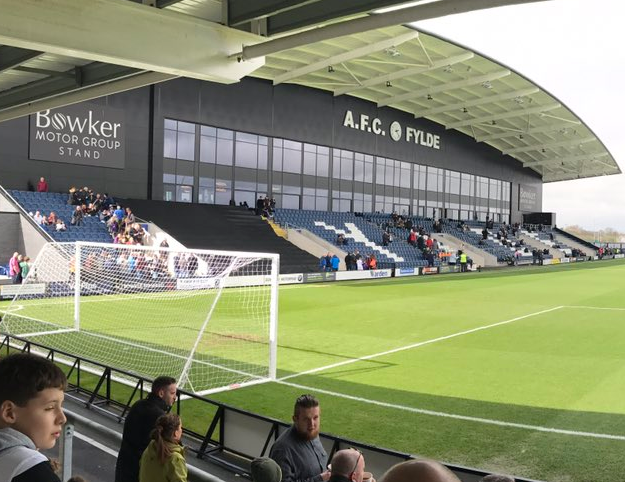 Football Foundation approved supplier for many years. 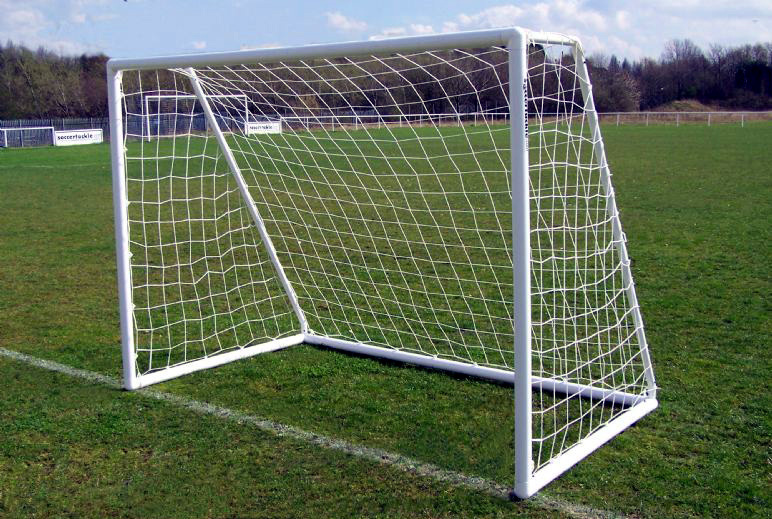 these goal posts outperform the rest. no better place to kick off your search. 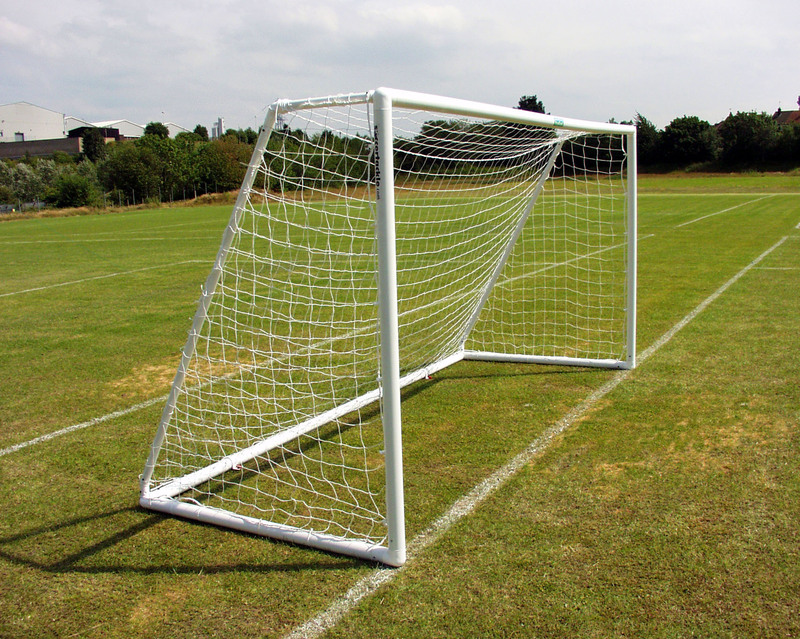 Click here for product information and the best prices on aluminium goalposts. 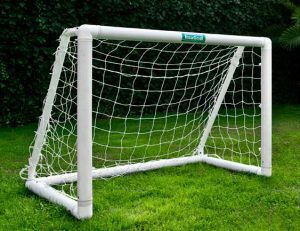 We have just purchased our second “it’s a goal” goal from Soccertackle after having our original for over a dozen years. The first goal was still in a very good condition which says everything about the excellent build quality and durability of the product but we felt it was time for a shiny bright new one. 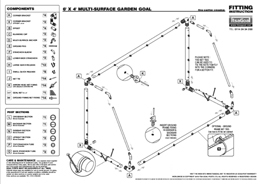 We have replaced the net once during that time after a lawn mower accident and the after sales service and support for buying extras is second to none. I cannot ever recall receiving such friendly and helpful service anywhere and I only wish all companies took such care of their customers not just before the sale but long afterward as well. Despite the excellent service, however, the key reason we bought our second goal is because of our experience with the first. 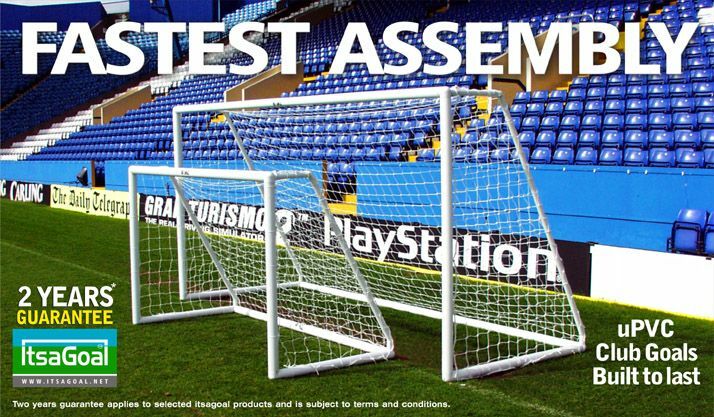 The build quality is exceptional and far superior to other goals we have seen. 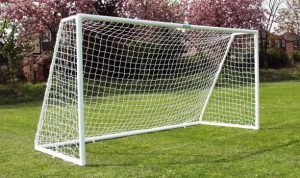 We have four football mad boys and it’s fair to say that the goal has had almost constant use during all of that time and yet it has stood up to some pretty hard shooting without suffering any major damage. 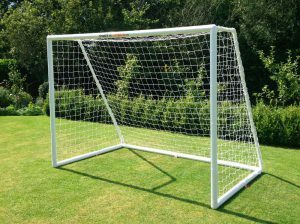 Our new goal has a single crossbar and was very easy to assemble. I am sure this goal will see us through another dozen years and by which time our boys will have become young men! 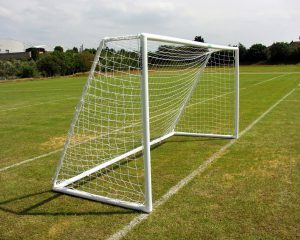 If you are thinking of purchasing a goal, do not consider any other. 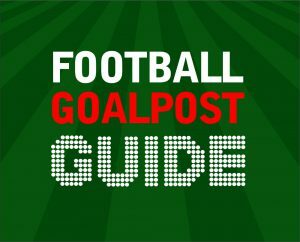 Ultimately you get what you pay for and these goals offer the best value for your money anywhere and are in a different league to the likes of Samba Goals. I have never written a review of anything before but such was the impression made on me and the helpful service I have received, that I felt compelled to share my views. First class goals from a first class company – simply the best. See the proper goalpost locking corner bracket and locking stanchion so the stanchion stays locked in place during games.